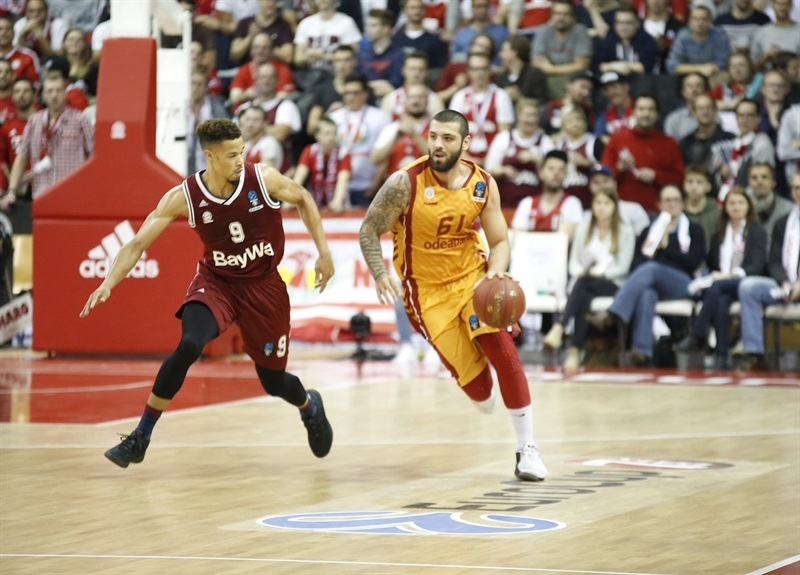 FC Bayern Munich became the first team to qualify to the EuroCup Top 16 from Group B when it topped Galatasaray Odeabank Istanbul 86-78 at home on Wednesday. Bayern improved to 6-0, while Galatasaray dropped to 1-5. Reggie Redding led the winners with 19 points, 9 rebounds and 6 assists. Devin Booker added 17 points, Nihad Djedovic had 13, Jared Cunningham contributed 11 and Milan Macvan 10 for Galatasaray. 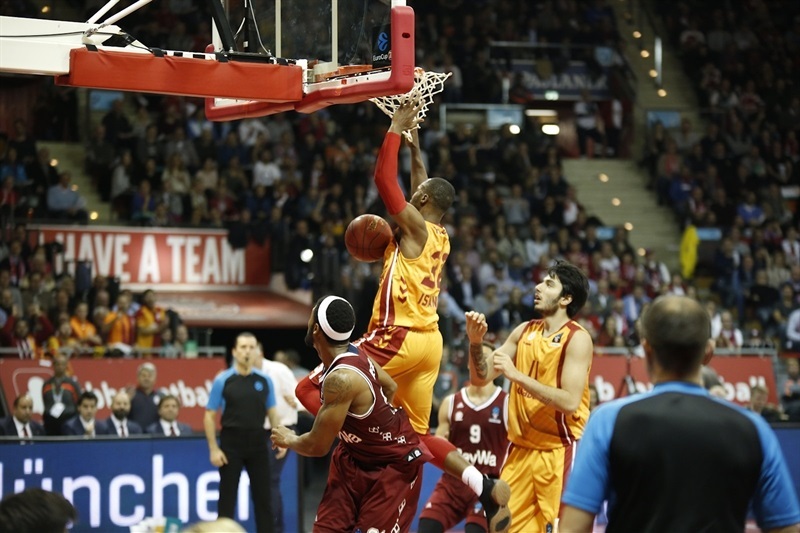 Dwight Hardy led Galatasaray with 16 points, Alex Renfroe added 15 and Scotty Hopson had 12 for the visitors. 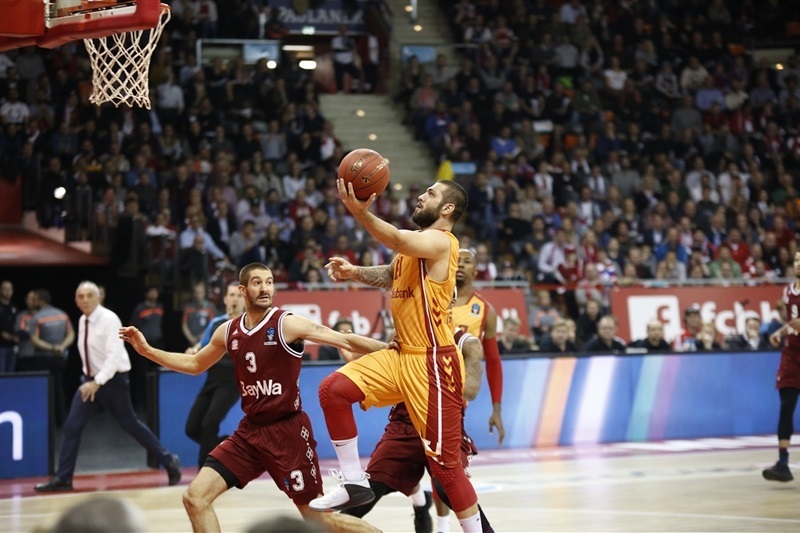 Goksenin Koksal and Hardy each struck three times from downtown in the first quarter to lead Galatasaray to a 17-25 margin after 10 minutes, which stood at 35-40 at halftime. Booker took over late in the third quarter and a three-pointer by Danilo Barthel gave the hosts a 65-62 edge after 30 minutes. 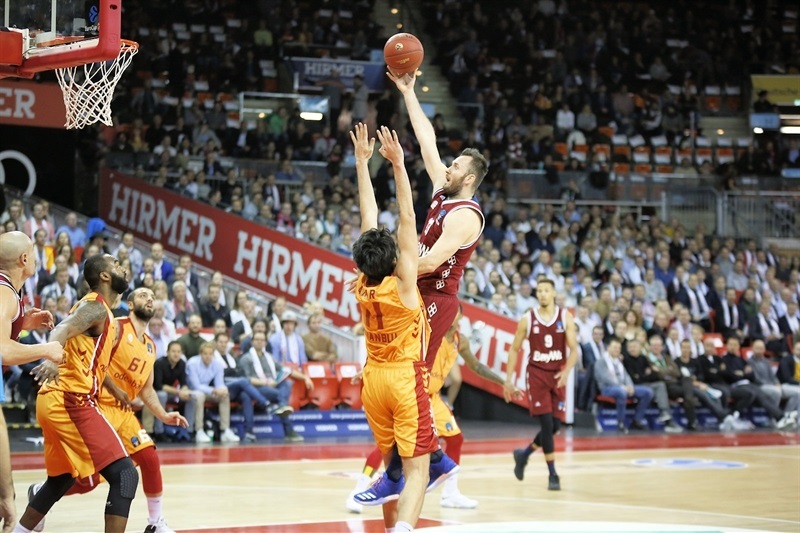 Bayern improved its defense early in the fourth quarter and made it a double-digit game, 74-64, on a layup by Barthel, en route to victory. 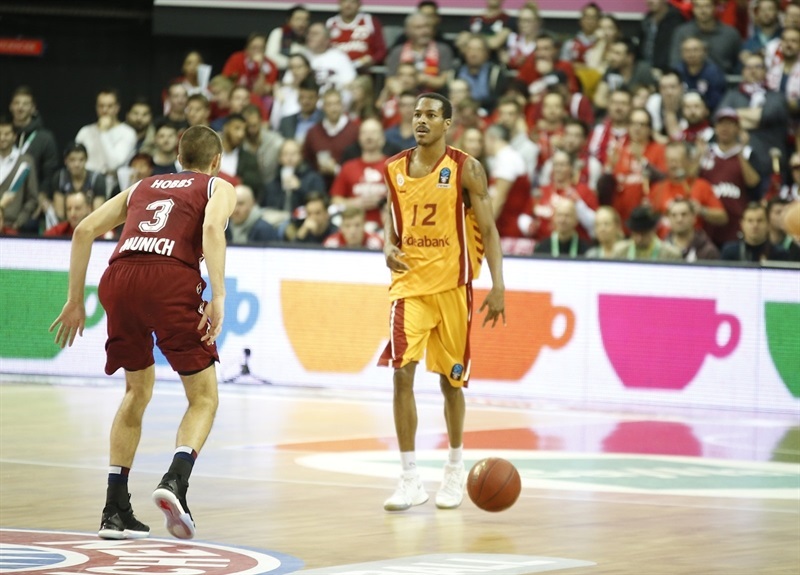 Redding got Bayern going with a layup and a three-pointer, but Hardy answered from downtown and Koksal added two more from beyond the arc to put Galatasaray in charge, 7-11. Anton Gavel joined the three-point shootout, but back-to-back triples by Koksal and Hardy boosted the margin to 12-17. Jordan Taylor downed a floater, Hopson added an acrobatic three-point play and a triple by Hardy made it a double-digit game, 15-25. 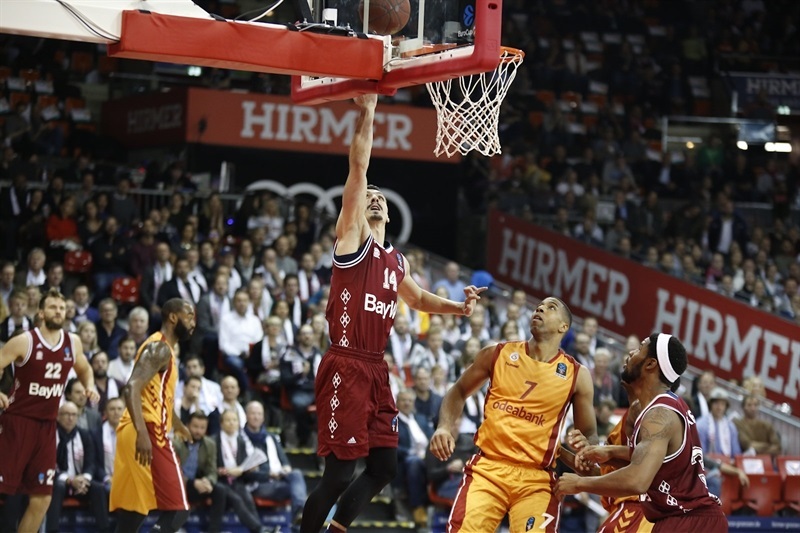 A running jumper by Djedovic kept Bayern within 17-25 after 10 minutes. 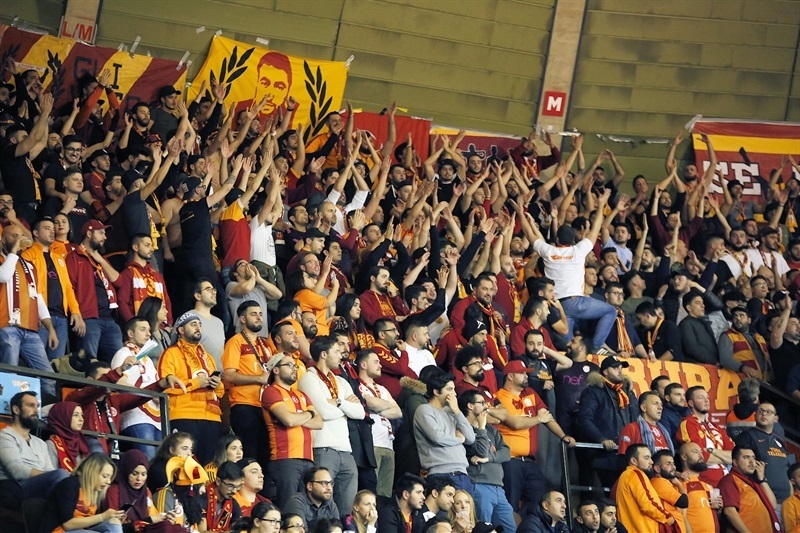 Richard Hendrix scored down low early in the second quarter, Renfroe added back-to-back layups and a put-back slam by Hopson restored a double-digit Galatasaray margin, 23-33. A three-pointer by Redding and a power layup by Booker ignited a 12-2 run, which Djedovic capped with a close basket for a 35-35 tie. Yagmur hit a triple and Renfroe added a huge put-back slam to restore a 35-40 Galatasaray margin at halftime. 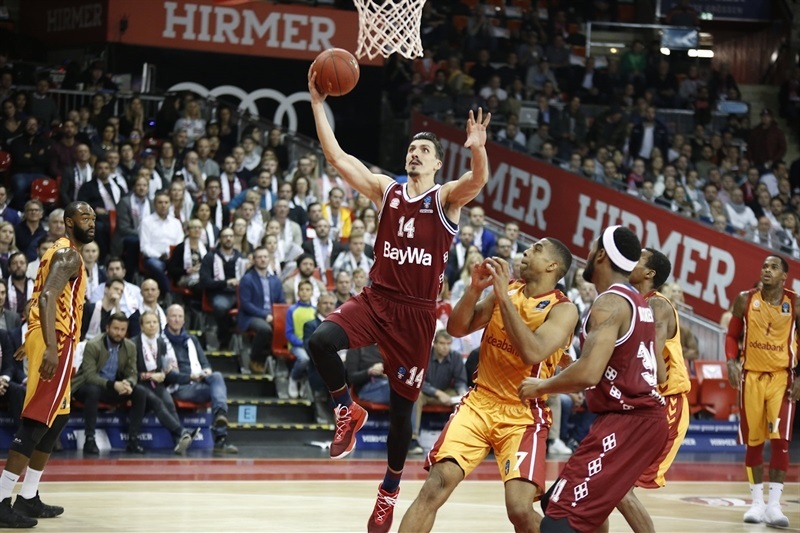 Redding had 4 points in a 6-0 run that completed Bayern's comeback, 41-40, right after the break. Summers stepped up with a triple, Ege Arar dunked and Renfroe followed a bomb from downtown with a layup to tie it at 50-50. Hardy took over with a three-point play and Hopson added a jumper for 51-55 Galatasaray lead. Bayern found a new go-to guy in Booker, who hit a triple, added a power layup-plus-foul and made free throws for a 62-59 Bayern lead. Barthel erased Hopson's three-point play with a triple for a 65-62 score after 30 minutes. Booker scored down low and Gavel took over with a coast-to-coast layup to make it 69-62 with seven minutes left. Hendrix scored around the basket, but a triple by Cunningham and a layup by Barthel made it a double-digit game. Galatasaray was not done, however, as Hendrix, Summers and Renfroe brought the guests as close as 78-76 with two minutes left. 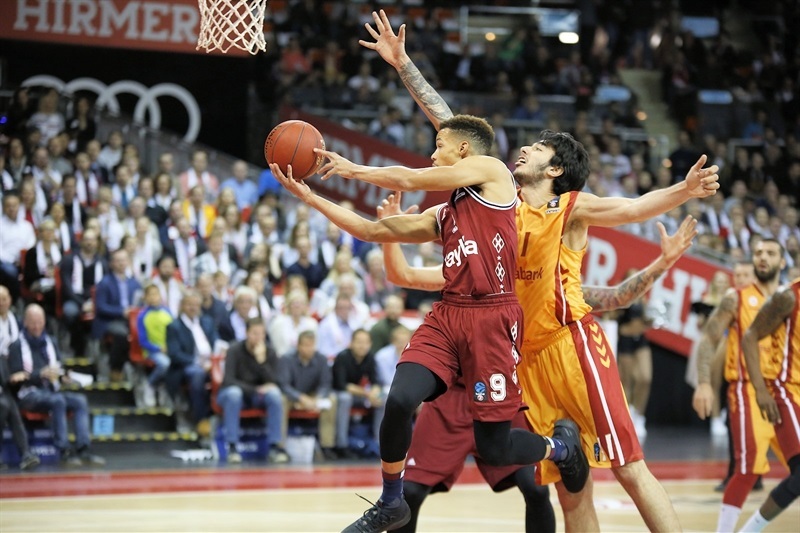 Hardy missed free throws and a layup by Macvan gave Bayern fresh air, 80-76, with 1:07 remaining. Cunningham and Redding sealed the outcome from the foul line. "In the first quarter they finished a couple of plays with three-pointers and that was too much for a team to recover. 8 out of 10 I think. Once we put the pressure on their ballhandlers, starting from Nihad Djedovic, who picked us up, again, with his energy level and his mentality. From there, we started to grow. 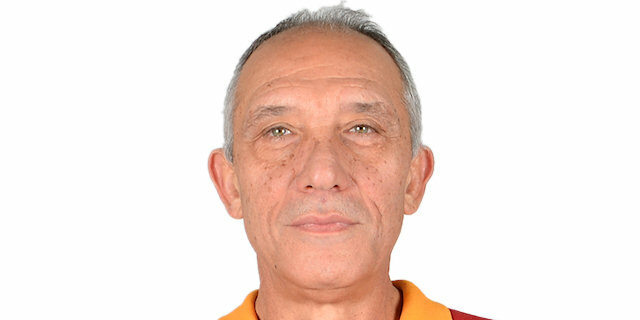 I think Galatasaray is a much better team than when we met them a month ago. They were very aggressive and they knew what they wanted." "We are having some physical problems that do not allow us to go all the way in such a tough competition as in the EuroCup. This makes some players be acting in positions that they are not that used to, for example Alex Renfroe. We still have a chance to qualify for the Top 16, but we have to win the last four games. We have to win them all if we want to advance. Now we don't have any margins. We'll take each game at a time and try to do well, especially at home."